When you purchase wine before it is bottled, it is referred to as buying wine futures. So before you consider buying a wine future, it would be a very good idea to attend a Barrel Tasting. A Barrel Tasting is just like it sounds—you get to taste unfinished wines, in most cases, directly from the barrel and to your wine glass. Often it is the winemaker or someone who works in the cellar with the winemaker who will be offering tastes of the barrel samples. Being able to talk directly with the winemaker or winemaking staff can give you the inside scoop on the wine. So, if you love what you taste and after asking all your questions about the wine (we’ll get to some sample questions in a minute), now is decision time. Should you buy this wine now before it is bottled? Should you buy this wine future? What’s the advantage to buying a wine as a future? 1) Many of the wineries along the Wine Road offer an increased discount on wine future purchases. 2) Often the barrel sample wines offered during Barrel Tasting sell out quickly when bottled and released, so buying futures of wine you like now ensures you’ll get some of the finished wine before it sells out. 3) Some wineries have a party when these wines are released, so you’re invited back to the winery for that event and to pick up your wine futures. 4) It is a great way to keep you cellar stocked with your favorite wines. Is what I’m tasting the final blend or close to it? In layman’s terms, you are asking if the wine from the barrel has been blended with other varietals or even with other barrels of the same wine. Many wines have a small percentage of one or more varietals blended in to help round out the flavors. Zinfandel might have 1 – 5% of Petite Sirah blended in, or Cabernet Sauvignon might have a small percentage of Merlot, Cabernet Franc, Malbec, or Petit Verdot blended with it. How much longer will this wine be in barrel before it is bottled? When will the wine be released? How long after it is released will I be able to either pick it up or have it shipped to me? Once I get the wine, how long should I let it continue to bottle age before I drink it? The answers to these questions will help you decide if this is the wine for your life style or type of cellar. If you like to drink your wine as soon as you get it because of storage concerns, then buying 12 bottles of a Cabernet Sauvignon that needs another 1-2 years of bottling aging might not be for you. However, buying a Zinfandel that will be bottled right after barrel tasting, will be released in September, and will be drinkable upon release, is the perfect fit. My favorite part about buying wine futures is picking up the wine at a future date. It is like buying myself a future present and knowing I’m going to love it. As I sip that wine I bought as futures, I try to remember what the barrel sample was like and how that differs from the bottled wine I’m now tasting. With each wine futures I purchase, I learn more about what to look for, what I like and don’t like in wines, and how to choose wisely when selecting wine futures. So are you ready to go Barrel Tasting? This year 42nd anniversary on the Wine Road. The BARREL TASTING take place over Two Weekends. Now get your Barrel Tasting tickets, create your plan, and go forth and enjoy the world of wine futures. If you want to make the most out of barrel tasting, have a game plan of where you want to go, how and when to avoid crowds, and how to find the wines you’ll like to buy as futures. 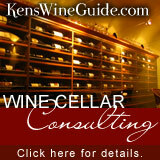 The Wine Road provides wonderful tools to help plan your wine tasting adventures. Explore the roads less traveled on Saturday, and visit the heavily trafficked wine regions on Friday or Sunday. The Wine Road website offers many tools to help you plan your Barrel Tasting visit, including a list of all participating wineries, an event map, and an event program that lists what barrel sample and futures each participating winery is offering. Some wineries are only participating the first weekend, so be sure to do your homework before you venture out. This is not a food event. Either plan to take a break during the day and enjoy lunch at a local restaurant or deli, or pack a picnic or plenty of snacks. Stay hydrated! Even though there is water at every winery, bringing along extra water is also a great idea. The more hydrated you stay, the better you will be able to taste the wines, and also stay sober!